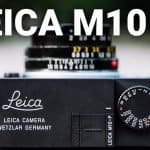 The LM-10 Sweet Spot lens for mobile devices from Lensbaby has been made available through their online store and retailers around the world, the company announced. It was back in April when the concept for the LM-10 was made known through Kickstarter. More than twice the amount needed was raised to see the lens through to production. With the combination of this lens and its free app for iOS and Android, users can get the sweet spot look that is so well known with Lensbaby optics. Together with the LM-10, Lensbaby has also announced the Sweet 50 optic. This is a selective-focus 50mm lens that works with the Optic Swap System of Lensbaby. 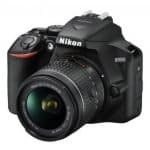 When the Sweet 50 is combined with compatible lens bodies, users get a 50mm lens that has a 12-blade aperture that is capable of f/2.5 to f/22 range. Not only that, it can focus as close as 15 inches as well. The size of the sweet spot is controlled through the adjustment of aperture. The movement of the lens barrel is what determines the sweet spot’s location on the photo. The LM-10 retails at $69.95 while the Sweet 50 sells for $119.95 on its own. When the Sweet 50 is purchased with the Composer Pro lens mount, it costs $299.95. 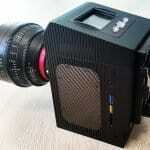 Lensbaby is a leader in creating creative effects camera lenses. Their signature effect is called “sweet spot.” It’s a depth-of-field look for cameras on iOs and Android phones. Both the LM-10 and the Sweet 50 are capable of delivering images with the signature sweet spot. They do this with a sharp focus surrounded by an increasing blur. With the LM-10, the accompanying app is what determines the sweet spot. For the Sweet 50, the tilting of the lens mount will do it. The use of mobile devices these days have dramatically increased. Most of those who owns a phone uses the camera feature to capture moments, and with the LM-10, these moments can be made even more special. The LM-10 measure less than 1.5 inches long and weigh about 0.7 oz. You attach this device to your mobile phone through the adhesive-backed stainless steel ring fitted with it. The lens also comes with magnets on both ends. These allow it to be used alone or together with other magnetic mobile lenses like those created by Photojojo. There is an accompanying free app with LM-10 which can be downloaded to iOS and Android devices. The app is needed to pick a focus point and orient the image properly. Other features of the app include spot metering, exposure lock, focus lock, still/video modes and a range of filters. 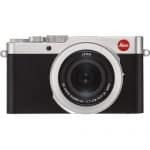 The Sweet 50 is a selective-focus optic that has a 12-blade adjustable aperture range that ranges from f/2.5 to f/22. Aperture is what controls depth of filed, and it also controls the size of the sweet spot of focus. This is part of the Lensbaby Optic Swap System and is mounted on a DSLR, mirrorless or motion picture camera, through the Composer Pro lens body. With these two offerings, users of mobile phones and DSLRs can be more creative when it comes to their photographs and videos.